How do you make sure vehicles can access your buildings? 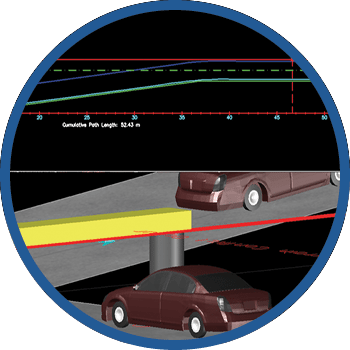 Most building projects require that vehicle access is analyzed and confirmed throughout the design process. 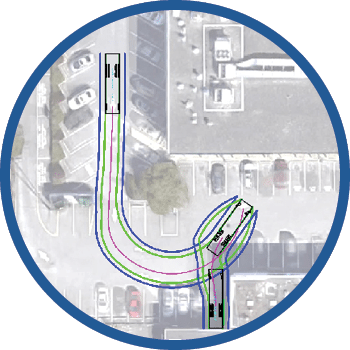 Checking your design with AutoTURN® swept path analysis software can minimize operational inefficiencies or help prevent costly reconstruction of infrastructure. 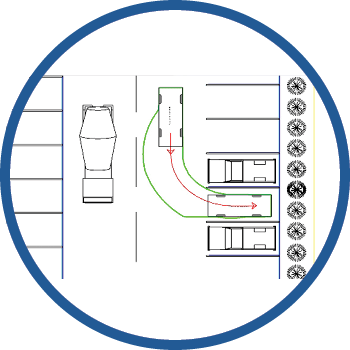 AutoTURN can help you ensure that fire, emergency and delivery vehicles can access your buildings safely and efficiently. Ideal for Autodesk® Revit® users, this solution performs turning maneuvers to identify possible design limitations without having to change your design environment. 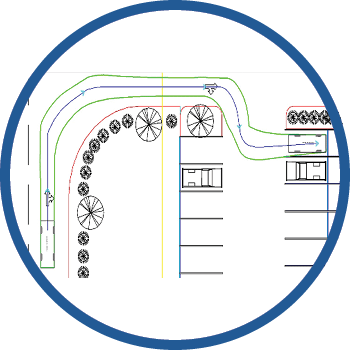 Revit users now have the AutoTURN intelligence, database and experience in turning capabilities and swept path analysis at their fingertips. 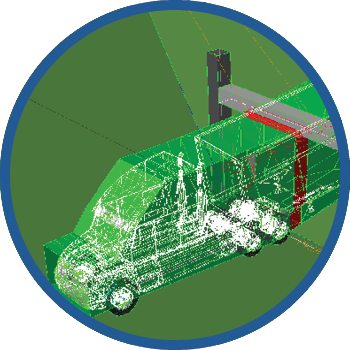 With access to extensive vehicle libraries and essential design checking functionality – this solution is all you need to verify your designs, keeping the simulation linked with your project. Cloud-based and accessible anytime and anywhere via an internet browser, you can check your drawings or aerial images, regardless of your CAD platform of choice on any PC or Mac workstation. With AutoTURN Online, there’s nothing to install. 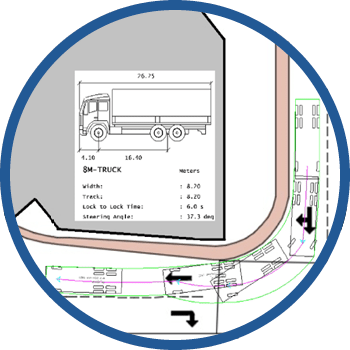 Just the vehicles and tools you need to analyse swept paths in seconds. 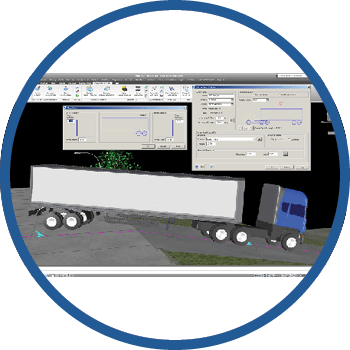 Featuring intelligent 3D capability, you can check for and visualize potential conflicts with the terrain or overhead obstacles. 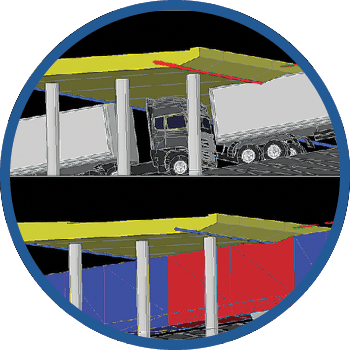 By incorporating terrain elevation, overhead obstacle, and vehicle clearance data together in the project drawing – issues not anticipated in designing in a 2D plane are now detected and can be resolved using a 3D space. 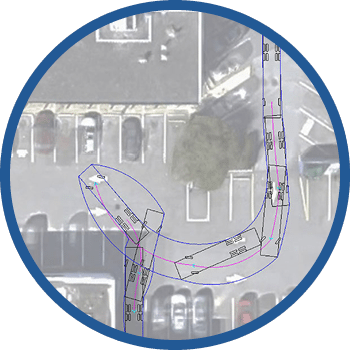 And with the latest Swept Path 2.0 technology built-in, it takes the analysis to a whole new level from Path Automation to 3D Clearance Analysis. How do these solutions compare? 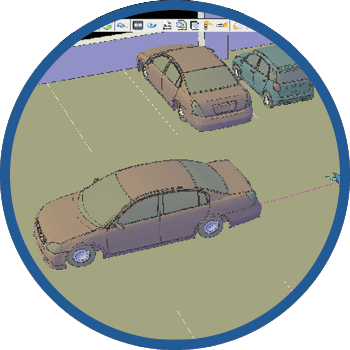 * Custom vehicle creation for AutoTURN for Revit is available as Project Support Service. 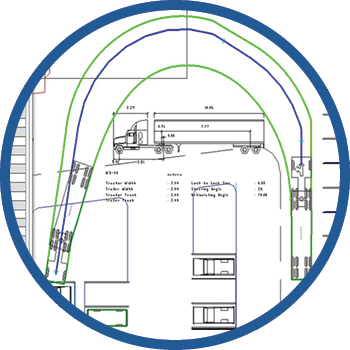 To discuss which AutoTURN solution is right for you and your design products, just complete the form and a Transoft representative will contact you.